It's an end of school party on a toasty summer day, and guests desperately need to cool off after hours bouncing on inflatables. 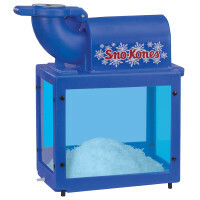 Save the day with our sno cone machine! After cooling off with a freshly shaved ice treat, guests will feel ready to get back to bouncing in no time!